The town of Lolo serves as a convenient crossroads between Highway 93 (Bitterroot Valley) and Highway 12 (Lolo Pass). Head up Lolo Pass to enjoy a majority of the town's attractions and activities. 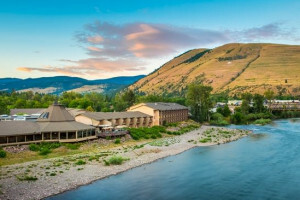 Enjoy our location perched above Missoula and the Bitterroot River set amidst lodgepole pines and meditative water gardens. Select from 4 room styles. Enjoy a delicious meal from our one-of-a-kind wood fired grill. Accommodations range from well-appointed cabins to modern lodge rooms. Restaurant, tavern & gift shop on site, plus seasonal horseback riding. Open all year. Worth the Drive! Camp along the Lewis and Clark trail. Enjoy square dancing, walking trails, horseshoe pits. This campground and RV Park offers full hookup sites. Why should I visit Lolo, Montana? Lolo Hot Springs: This year-round resort is a popular stop for any visitor. Stay in the lodge and soak in the developed pools whenever you want. 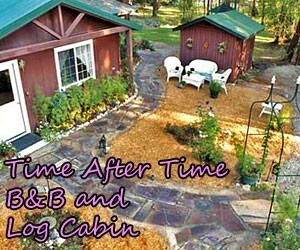 Or just stop by for an afternoon after snowmobiling or hiking along Lolo Pass. Lolo Pass: Possibly one of the most scenic drives around, Highway 12 meanders up and over Lolo Pass and follows the Lochsa River. Atop Lolo Pass, outdoor enthusiasts will find opportunities for snowmobiling, snowshoeing, biking (both mountain and road), and hiking. 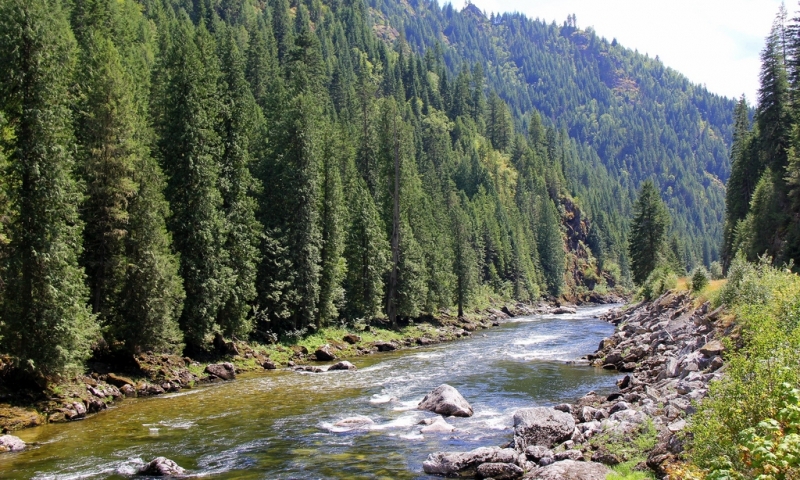 The South Fork Lolo Creek Trail is a popular backcountry hiking and fishing trail. Lochsa River: On the west side of Lolo Pass, the Lochsa River is an incredible whitewater rafting river. Sign up for a guided day trip of rafting the Lochsa. Holt Heritage Museum: This funky museum features everything Cowboys and Indians. Traveler's Rest State Park: Take in the history with a visit to this pleasant state park. Lolo sits and the far northern end of the Bitterroot Valley and at the crossroads between Idaho and Montana. It is the gateway to the Bitterroot Valley, just 10 miles south of Missoula along Hwy 93. It also sits at the Highway 12 junction, which follows the Lewis and Clark Highway up and over Lolo Pass. Lodging: A couple chain hotels are located right in town. 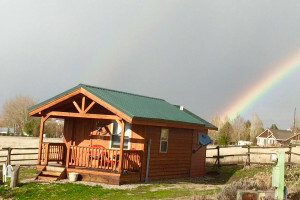 Unique lodges like the Lodge at Lolo Hot Springs and the Lochsa Lodge are located west along Highway 12. There is also a nearby B&B and a handful of places to camp. Dining: There are a number of chain restaurants including McDonalds, Quiznos, and Taco Time, but also a few great local eateries. Try the Lolo Creek Steakhouse or head towards Lolo Pass and stop by the Lumberjack Saloon. Groceries: Head to Lolo Harvest Foods for fresh produce, quality meats, and a large selection of products. Services: Banks, post office, gas stations.